November is a time of Thanksgiving. A time to remember our blessings and I believe most of us have many, many things to be grateful for! I am most grateful for my family, our health, and our friends that we share our life with. 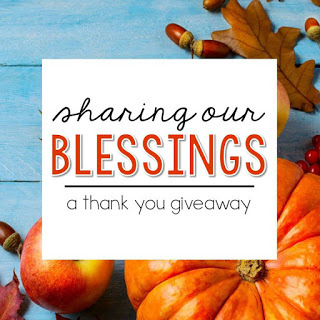 A 16 of my blogger friends have put together a blessings giveaway for you! It is going to be a fun and easy giveaway for you. 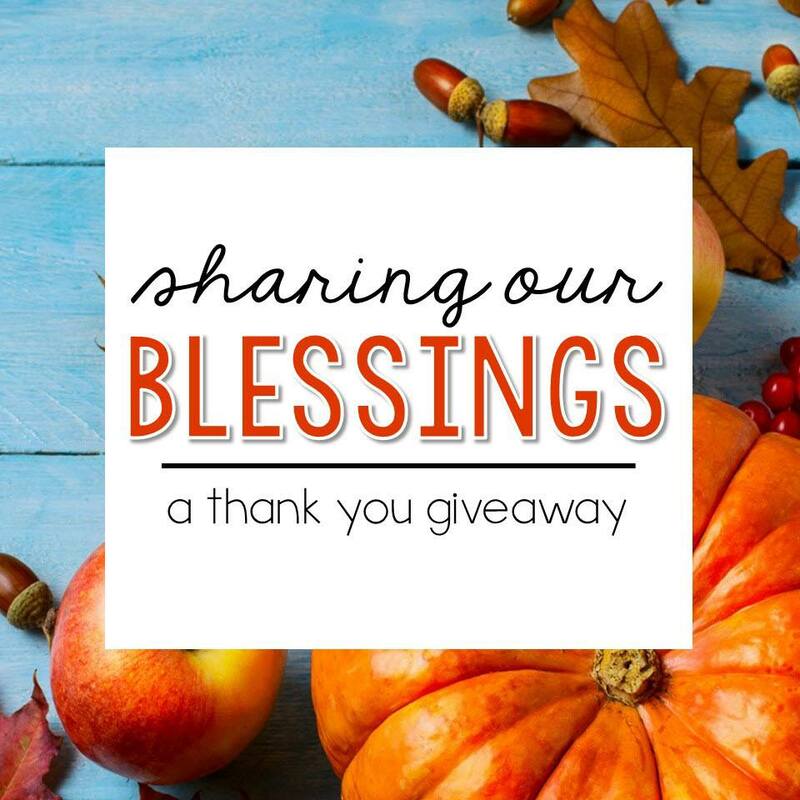 Each one of my friends will be blessing you with a free resource on Sunday, November 18 and Monday, November 19. PLUS, we are EACH giving away a $25 TpT gift card!! 16 free resources and 16 chances to win a gift card!! Sharing is so much fun! Be sure to download your free resources on Sunday or Monday! They will only be available for free on those two days. Click here to get this resource free! Enter the Rafflecopter below for a chance to win my $25 gift card. Be sure to do this at every stop along the way on the hop for more chances to win!! Click the links below to hop between our blogs! This will be fun to use! I'm excited about the giveaway! I am thankful for many blessings including a great family and wonderful job. I am thankful for my amazing family! 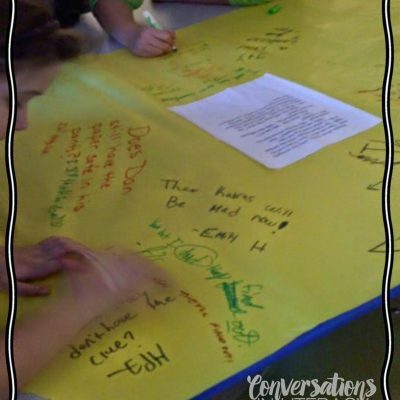 I am thankful for my first contract this year, my family, my school community, making and meeting new friends and students. I am simply enjoying this new journey. I am thankful for my patient husband! I am thankful for my family, my health, and my new job in the computer lab!!! I'm thankful for a wonderful husband and a sweet puppy to come home to everyday! I'm blessed with a beautiful three month old baby boy and returning to teaching right before thanksgiving. I am blessed by my children and students who allow me to love them, laugh with them, hug them, and grow them each day. Thanks for the give away and freebie. 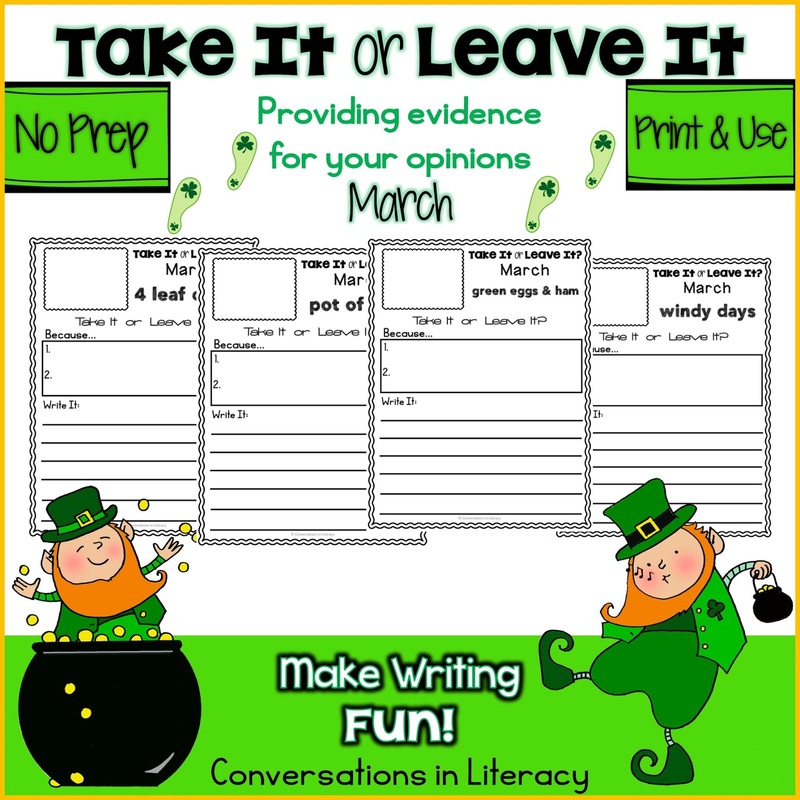 I am using the November Take It or Leave Its in my third grade. They love them! Blessed with family, friends, career, and this opportunity. Thanks for your generosity! I'm SO thankful for my husband, kids, and cats. And I'm grateful that I get to teach in a job that I love. Mostly, I'm thankful for my Lord. Thanks again for sharing and encouraging us all to be thankful. You have so many great resources, thank you. I am thankful that my family is finally getting back to healthy. I am thankful for my job! I truly love my students. I'm grateful for my family. I am thankful for my family and a great group of coworkers! Happy Thanksgiving! Thanks for the freebie and chance to win. You guys rock! Thanks for the giveaway! Another blessing! After dislocating my knee, I am thankful for good health. It's amazing how a quick slip can impact your life and the ability to be independent. I am blessed that my family is close by and that I have great coworkers to make our days better. I am thankful for my daughter who enjoys learning. I am thankful for a loving God, my loving family, our first grandbaby Caroline Rose, and a job I absolutely love! I am thankful for hanging out on Sunday morning with my children!! I am thankful for spending time with my husband! I am thankful and blessed for my family, friends, work family and my health. I am so blessed to have an awesome husband who is my strongest supporter! My mother is my biggest cheerleader full of love, support, am blessed and thankful for her each day! I am soooo blessed with a patient family who supports and helps me in my job as a teacher. I am blessed to work with amazing educators who have helped me become better at my profession. I am blessed to go to a job that I love and be amazed every day by great kids and all that they learn. My blessings this year include a challenging class of various learning levels and behaviors. I am in my 39th year working with special needs students. I love them and they keep me young. I'm looking forward to using this with my writing group in March. Thanks for sharing. We're all thankful for talented teachers like you. Your blog is awesome! Thank you for the freebie! I am thankful for many things. But most of all I am thankful that I moved my classroom this summer. It was a lot of hard work, but I can see the blessings for both my students and me. I am thankful for doing what I love to do. It is not the easiest job, nor is it the most glamorous, but I get a chance to make a difference in the world in a small way. And all the hugs I get, make it worth it. I am thankful for friends and family! 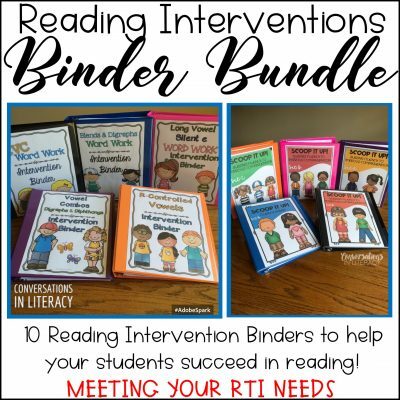 Thank you for sharing your resources! I am thankful for amazing teachers that are the glue to our profession! I am so very thankful for my family who support me and help me deal with the often stressful days being a teacher. I am also thankful for my pets who give me unconditional love and support. Thankful for health and peace in our pat of the world! 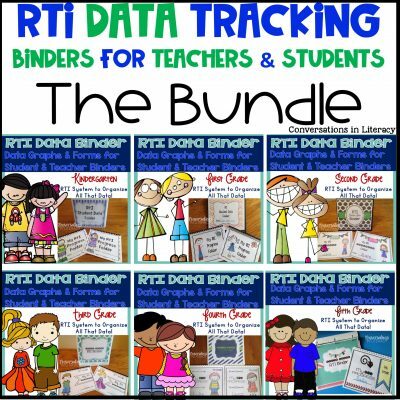 Thank you for sharing these great resources! I am thankful for wonderful supporters like you. I am thankful for a long 5-day weekend to recharge. 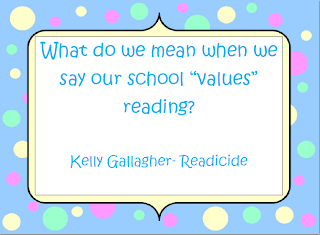 Thank you for sharing your wonderful ideas and resources! I am thankful for teachers who share their ideas and resources with one another, we can all work together SMARTER not HARDER! Thanks for the freebie! 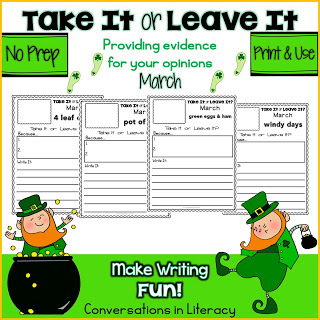 I look forward to checking out Take It or Leave It in other months. 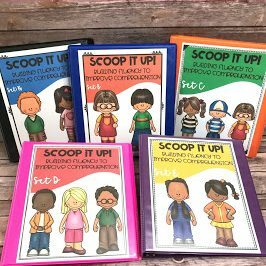 Very cool resources! Thank You! Thank you for your free gift! 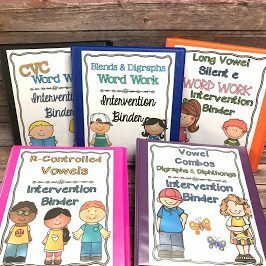 I am thankful for TpT so I can find great resources. Remember those old Mailbox magazines you had search through forever? I still have them but so glad things are easier now. So thankful for my wonderful husband…best friend and supporter a girl could ever have! I am blessed to have job that I love. Thank you for the freebe. Happy Thanksgiving to you! I'm thankful for generosity like yours. This giveaway is such a blessing. I have the best teacher friends and co-workers! So thankful! I am so thankful for my family, friends, job, father, and all the people who try and help teachers, like you! I am so thankful for my partner! I have learned so much from her! Combine that with her support and friendship, I'm handling a 2/3 split with a lot less stress! I am thankful for my family, coworkers, a job I love, and my students! During a difficult year, I am thankful that my husband and I have our health and a supportive community of friends. OOOh thanks for the freebies and opportunity to win!! I am thankful for my 14 month old daughter that makes my husband and me laugh daily! I am thankful for your wonderful ideas! I am thankful for getting to spend time with my family on Thanksgiving Break! Thankful for my fabulous hubby! Thank you! I'm thankful for my boyfriend!!! 91. I always appreciate these free resources. Thank you! I am blessed to work with amazing people! I'm thankful for my 6th grade teaching team! I'm thankful for my wonderful family who supports me on my teacher journey. I'm so grateful for my amazing family! Thank you for this amazing giveaway! I am so thankful for the little hearts who love me and have grace for me. Thankful for my family. I really appreciate the giveaway! 102 Sounds like a fun opinion writing assignment. Thankful for you and all the other bloggers' generosity! Thankful for my husband! Thanks! I'm so thankful for supportive teachers! I am thankful for my dad having his health back and getting to hang out with family. I'm thankful for my 95 year old grandfather I get to prepare a huge thanksgiving meal for.